Last year at this time, we enjoyed stepping back to a time and place where my German husband and I first met, a Christmas Market! I first met my German husband at a Christmas market in Munich, Germany. 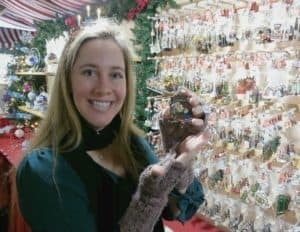 In Germany, my husband and I enjoyed strolling Christmas markets, sipping our Glühwein and enjoying the trinkets being sold in open-air stalls, and have since enjoyed experiencing the nuanced and different perspectives of other cultures’ take on the traditional German Christmas market. 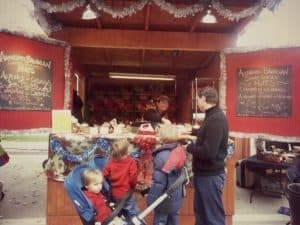 The Arlington Christmas Market, is an annual market promoting a traditional German Christmas-market experience like those held in Germany and throughout Europe for the holidays. The Arlington Market, November 25 thru December 23, 2016, features German music, food, vendors, kids activities as well as regional favorites for you and your family to enjoy. Gebrannte Mandeln – roasted almonds and other roasted nuts are a must buy for my Bavarian husband. This might be the true test, next to the Glühwein, as to the authenticity of a good German Christmas market. My German husband was very pleased with the Glühwein, nuts, food, ornaments and more at this market!! Some of our favorite ornaments representing our life lived in Germany and Christmas are from Käthe Wohlfahrt which has a shop at the Arlignton Christmas Market. Why are Christmas Markets Special? If you haven’t been to one, Christmas markets are truly magical. 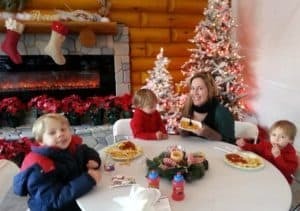 They look, smell, and feel everything the Christmas season should be about being laughter, relaxing, simple shopping of handmade-quality gifts (the type of gifts that become heirlooms), drinking Glühwein; eating, homemade cookies, children playing, advent, and more. The Arlington Christmas Market did not disappoint our expectations for a Christmas market abroad! 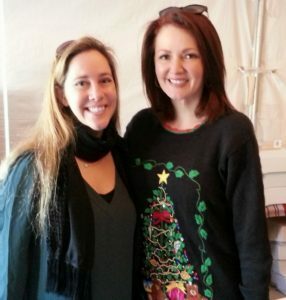 Another picture of Kellie Rasberry because I was stoked to see her at the market. I grew up listening to Kidd Kraddick in the Morning and I’m a huge fan of Kellie! Christmas Markets translates to “Weihnachtsmarkt” in German and “Christkindelsmarkt” meaning Christ Child Maker, in Southern Bavaria and Austria. 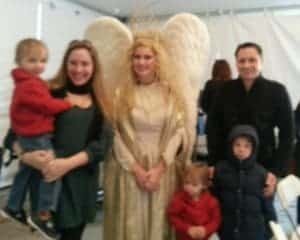 On Christmas Eve, a Christkind (Christ Child/Maker) which looks like an angel, visits children with gifts. Christkind is present at the Arlington Christmas Market. We were really excited about this!!! My German husband was especially excited to have his son’s experience this aspect of his culture in America! Super sad that our pictures were all blurry! Nevertheless, this picture is displayed every Christmas! Christmas markets now take place internationally, however, one of the very first Christmas markets in the world was held in Dresden, Germany in 1434. At a traditional Christmas Market, no matter what the temperature is, seasonal goods are sold from open-air stalls. The Arlington Christmas Market upholds authenticity keeping the event outside. 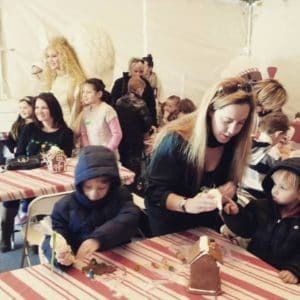 It is one of the largest open-air holiday markets in the Southwest. From crafted jams, dolls, aprons, scarfs, mittens, ornaments, hats, cookies, advent calendars, stollen (traditional cake), bread boards (which you can have engraved), traditional German and Bavarian food but also my very favorite traditional ornaments made of straw and wood via Käthe Wohlfahrt. I’m excited to go again this year to the Arlington Christmas Market. 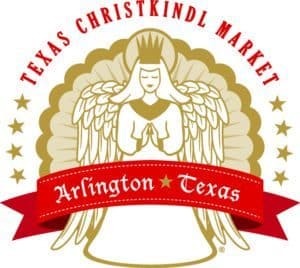 #TXChristkindl #ArlingtonfortheHolidays Hope to see you there!! Have you been to a Christmas market in Europe, U.S., Australia or somewhere else? If so, where and what did you think about the market? 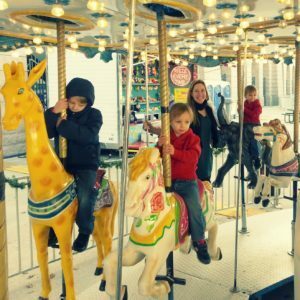 I just found this post and I´m so excited to see this type of Christmas market can be found in Dallas! I know, it won´t be for another 10 months, but having just moved from Europe to Dallas this was one of the things I thought I had to go without in the US! I am from the Netherlands (so lots of Christmas markets nearby!) and lived in Spain for the past 3y where my Spanish husband and I would always visit the German church´s Adventsmarkt.